Pharmaceuticals are supposed to heal, comfort, and protect. Unfortunately, not all work as they’re supposed to – and some can cause severe problems, even death. In recent years, three popular drugs — Vioxx ®, Bextra ®, and Celebrex ® — have been linked to heart attacks, strokes, blood clots, and other serious side effects. Manufacturers either failed to do the proper investigative studies before releasing their products – or, worse, released them in spite of troubling data. Either way the end result has been the same: People have suffered, needlessly. The drug companies were supposed to be on your side. But they weren’t. 85 million patients took Vioxx ® 20 million in the United States alone. According to the Food and Drug Administration tally, more than 27,500 Vioxx ® users suffered heart attacks as a result of taking the anti-arthritis medication — and that number could go way up. The FDA and other researchers have reported that Vioxx ® users are more than three times as likely to suffer a stroke or heart attack. And there is evidence that Merck knew about the dangers as early as 2000 – but continued to sell the drug for four more years. Little wonder, then, that some 5,000 Vioxx lawsuits have already been filed. Merck faces a potential $18.5 billion liability (if a proposed settlement, for $4.85 billion, falls through). 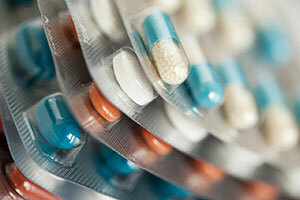 Celebrex, a similar drug, has so far shown a slightly added risk. But studies are still ongoing, and patients who have used the medication need to keep an eye on what the research, and the evidence, concludes. One thing, however, is certain: Pharmaceutical companies know how to fight a court case, and they have the resources to litigate – and delay – a valid claim for years. That’s why it is essential that those who have been harmed by their mistakes, and negligence, choose their lawyers wisely. The best litigators don’t just have a case – they have the skill, resources, and determination to stand up to industry giants. And they have the track record to prove it. The pharmaceutical companies didn’t help you, but we can. Contact Babbitt & Johnson P.A. for a free consultation and case evaluation. More than 400,000 Americans undergo dialysis treatment on a regular basis at more than 5,700 dialysis centers nationwide. During treatment, blood is pumped from the body to a machine where it is chemically treated to remove excess water and waste. After chemical treatment, the blood is reintroduced into the body. Two of the most common chemicals used in dialysis treatment, GranuFlo and NaturaLyte, are now subject to a Class I recall by the FDA. A Class I recall is the highest level of recall, and is issued for products which present a strong danger of serious injury or death. Both chemicals, manufactured by Fresenius Medical Care, contain an ingredient that the body converts to bicarbonate, which in excess, has been linked to a variety of heart problems. Dialysis patients receiving GranuFlo and NaturaLyte treatment may be 6 to 8 times more likely to experience fatal cardiac arrest. Other side effects include low blood pressure, cardiopulmonary arrest, stroke, metabolic alkalosis, heart arrhythmia, low blood oxygen, and even death. If you or someone you know has been injured as a result of dialysis treatment, you should seek legal advice to determine whether you are entitled to compensation for your damages. If you are a woman diagnosed with new-onset, Type II diabetes while taking the drug Lipitor, then you may be eligible for compensation through a Lipitor diabetes lawsuit. Contact a Babbitt & Johnson, P.A. attorney for a free consultation. Act soon because every state has a strict deadline for filing a lawsuit. Representing Lipitor victims throughout Florida and across the United States. The anti-cholesterol drug Lipitor is the best-selling medication of all time, with USA Today reporting sales of more than $125 billion since its approval in 1996. But in the last few years, an increasingly large body of research suggests that the drug may have exposed millions of patients taking it to severe health risks. That evidence has become so compelling that in 2012, the U.S. Food and Drug Administration issued a warning that Lipitor may cause increased blood sugar, so it may cause diabetes, particularly among women. Babbitt & Johnson, P.A. is pursuing Lipitor lawsuits and is actively investigating claims that Lipitor causes diabetes. Contact us today to see if you have a case. A Lipitor diabetes lawsuit may be right for you if you have been newly diagnosed with diabetes while taking Lipitor. Lipitor is among a class of drugs called statins, which are meant to reduce what the U.S. Food and Drug Administration terms the “bad” form of cholesterol – low-density lipoproteins, or LDL. Unlike the “good” type of cholesterol – which your body needs to needs to make hormones, vitamin D and bile acids that assist in digestion – LDL can cause the formation of fatty blockages in blood vessels. Those blockages increase the risk of stroke, heart disease or heart attacks. Lipitor is meant to block a substance your body needs to form cholesterol. Heavy marketing by Pfizer helped make it the world’s most-prescribed drug, according to the New York Times, generating $11 billion a year in revenue before its patent expired in late 2011. Some statins, Lipitor included, appear to have potentially dangerous side effects. A 2012 study by researchers at the University of Massachusetts Medical School in Worcester linked statins such as Lipitor with a higher incidence of diabetes. According to a Reuters report, the researchers found women are at particular risk. Studies show a link between Lipitor and diabetes. Contact us for information on a Lipitor diabetes lawsuit to help you recover damages. The study employed data on over 150,000 women in their 50s, 60s and 70s, and concluded that the chance of a diabetes diagnosis was 48 percent greater for statin users. Still another large study, called JUPITER, uncovered a 27 percent higher diabetes risk for statin users. And when the U.S. Food and Drug Administration ordered the label changes, it cited studies linking statins to higher blood sugar levels. Elevated blood sugar is a warning sign for diabetes, and used as a diagnostic tool. A 2013 study by Canadian researchers identified risks that apparently apply to some types of statins, including Lipitor, but not to others. According to results published in the medical journal BMJ, the researchers analyzed records for over 470,000 people aged 66 and older. They listed Lipitor among three types of statins that appeared to increase the risk of diabetes. The FDA’s warning label on Lipitor includes some other health risks as well, including serious liver problems, a form of muscle injury called myopathy, and memory loss and confusion. A 2013 study published online in The Journal of the American College of Cardiology, found that statins such as Lipitor appear to negate the benefits of exercise, such as greater cardiovascular fitness. And still another 2013 study published in JAMA Internal Medicine suggests that people who take statins such as Lipitor are more likely to develop musculoskeletal problems. Researchers drew on military data for 6,967 people who used statins, and an equivalent number of people who did not. Johnson & Johnson, the manufacturer of Tylenol products, has experienced several recalls on various forms of Tylenol over the years. Tylenol has been linked to a high risk of liver failure and kidney failure, especially when taken by elderly or dehydrated people. The active ingredient in Tylenol, acetaminophen, is the main culprit for liver damage. In the U.S., it is the cause of about 200 fatal overdoses and 56,000 emergency room visits each year. Our award-winning personal injury lawyers represent clients across the country who are injured or encounter medical complications in connection to defective drugs, brand name and generic. Pharmaceutical companies have powerful defense teams and vast resources at their disposal, but an experienced attorney can counter their attempts to skirt liability. We can hold big drug companies accountable, pursue maximum compensation for your injury, and work to force the companies more actively address serious and potentially critical safety issues. Tylenol has posed significant health risks to consumers and patients ever since its creation. Johnson & Johnson has been forced to lower the maximum dosage for several Tylenol products because of the real possibility of “staggered overdoses.” Over several successive days, too much acetaminophen causes more deaths due to liver damage than deaths due to deliberate suicides by a single overdose. A “staggered overdose” does not necessarily require a person to exceed the recommended maximum daily dosage. In fact, it rarely does. A person might suffer from serious liver damage even by remaining below the daily limit, which is part of the reason that Johnson & Johnson finally decided to alter the warning label on Tylenol. Still, just one dose of Tylenol could throw any unsuspecting person into liver failure. Acetaminophen in thousands of over-the-counter and prescription medicines taken for headaches, fever, sore throats and chronic pain. It is the active ingredient in prescription painkillers such as Percocet and Vicodin, and it is also in nonprescription pain relievers, including NyQuil and some Sudafed products. Our West Palm Beach Tylenol drug litigation lawyers can pursue your full compensation for the recovery you deserve with dedication and vigor. We handle complex product liability cases against major corporations that require extensive legal knowledge and access to resources and a network of experts to build a strong case on your behalf. We fight for your rights and advocate in your best interests. If you or someone you love has suffered from bleeding, hemorrhaging or death from taking Xarelto (rivaroxaban), then you may be eligible for compensation through a Xarelto lawsuit. Contact a Babbitt & Johnson, P.A. attorney for a free consultation. Our personal injury lawyers represent Xarelto victims throughout Florida and across the United States. Xarelto (rivaroxaban) is manufactured by Bayer and marketed by Johnson & Johnson’s subsidiary, Janssen Pharmaceuticals. Xarelto is one of the newer blood thinners on the market. The largest risk is uncontrollable bleeding. There have been a lot of concerns about Xarelto’s safety. The most dangerous side effect for people taking Xarelto is uncontrollable bleeding – a risk shared by all blood thinners. * Do not make any changes in your medication without consulting with your doctor. Yaz is a birth control pill manufactured and marketed by Bayer HealthCare Pharmaceuticals. It has also been prescribed to help with the symptoms of premenstrual dysphoric disorder, or PMDD. Similar drugs have also been marketed under the names Yasmin and Ocella. The generic name for Yaz is drospirenone and ethinyl estradiol. Representing Yaz victims throughout Florida and across the United States. Shortly after Yaz hit the market, Bayer was forced to pull two of its ads because they overstated the benefits of taking the drug and failed to adequately warn potential users about the possible side effects, including severe blood clots, gallbladder and kidney damage and other issues. As a result of taking Yaz, young women were put at extreme risk of serious health complications. The excessive blood clotting caused some victims to suffer strokes or heart attacks, and others underwent emergency cholecystectomies to have their gallbladders removed. A minimum of 50 deaths worldwide have been attributed to the use of Yaz. Bayer’s standpoint has always been that they warned consumers about the risks associated with using Yaz, but it is clear that they have not done nearly enough. Doctors need to be fully educated about the drug, how it should be used and what all of the risks are so that they have the necessary information to help patients decide if those risks outweigh the benefits. The attorneys at the law firm of Babbitt & Johnson P.A. represent clients across the country who have suffered negative health issues as a result of using Yaz. Our Florida Yaz drug litigation attorneys have the experience to help you recover full compensation for your injuries and suffering. We have experience handling a broad range of complex product liability cases against major corporations. These are difficult cases and not every law firm is able to handle them. We have the knowledge, the commitment and the resources to protect your rights, and help you secure the compensation you are entitled to receive. We also represent people harmed by Risperdal, Invokana, and Zofran. If you or a loved one has been harmed by a dangerous and defective drug, contact the personal injury attorneys at Babbitt & Johnson P.A. at (561) 684-2500 or toll free at 1-888-666-0523. We are dedicated to ensuring that individuals receive the highest-quality legal representation available.